Acquired from the costume designer Dinah Collin. 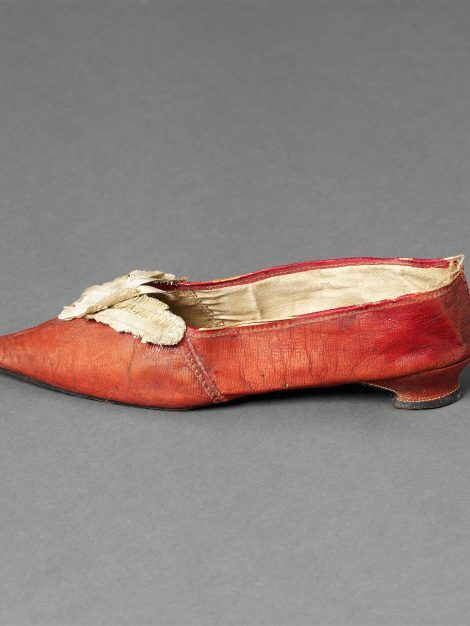 Found abandoned in a theatre more than thirty years ago, this single shoe was used by costume designer Dinah Collin as a sample for the shoes made for the BBC’s 1995 adaptation of Jane Austen’s Pride and Prejudice. 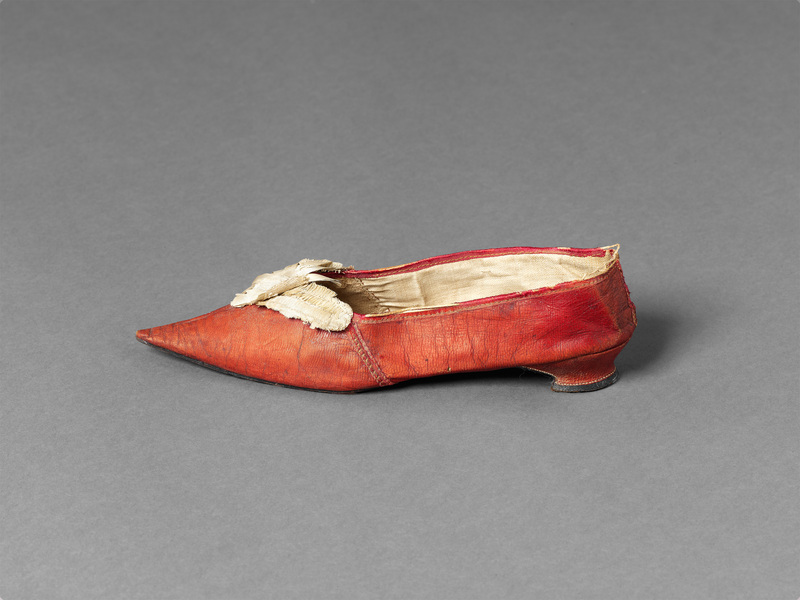 By the turn of the 18th and 19th Centuries leather had taken over from silk as the material of choice for women’s footwear. 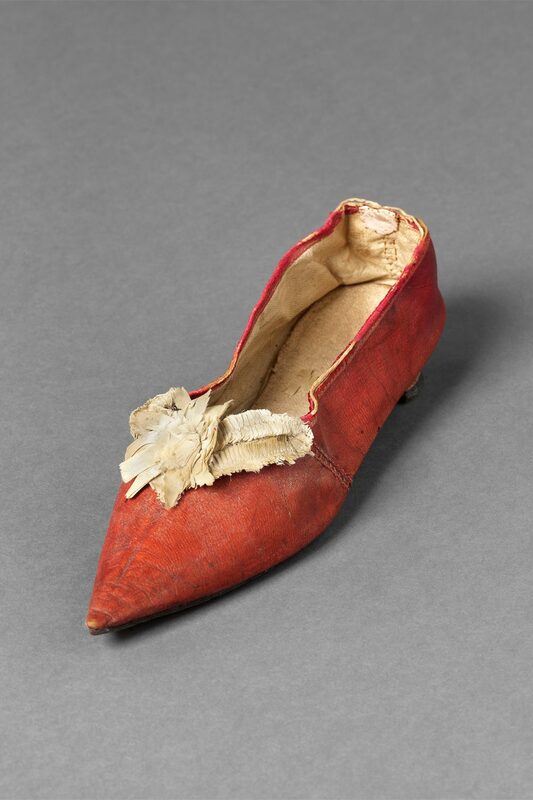 The latchet fastening, the common feature of 18th Century shoes, whereby tabs of the shoe fabric lapped over each other and were held together over the tongue by a buckle, had all but disappeared from fashionable wear. The buckle, which could be quite ornate, had been superseded by ribbon bows and rosettes, and other forms of decoration, as the focus of the front of the shoe. 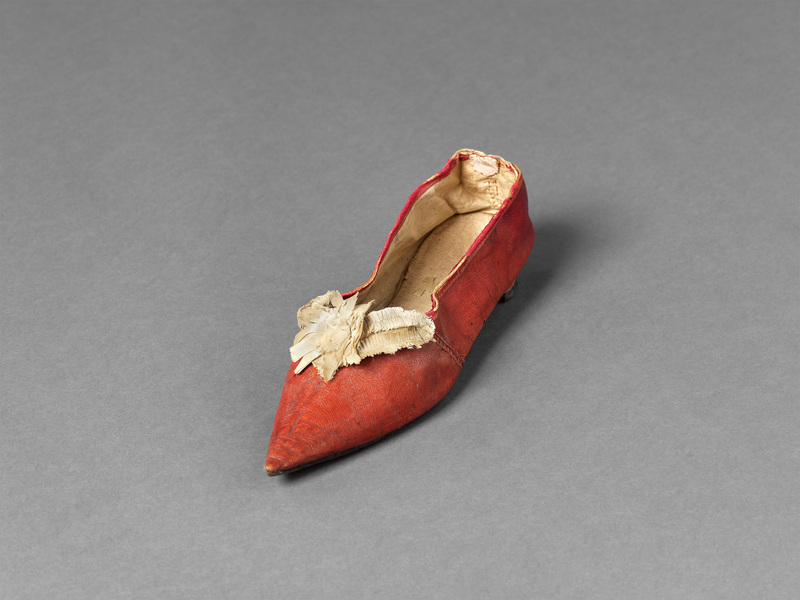 The heel was now small and low, soon to disappear for several decades.